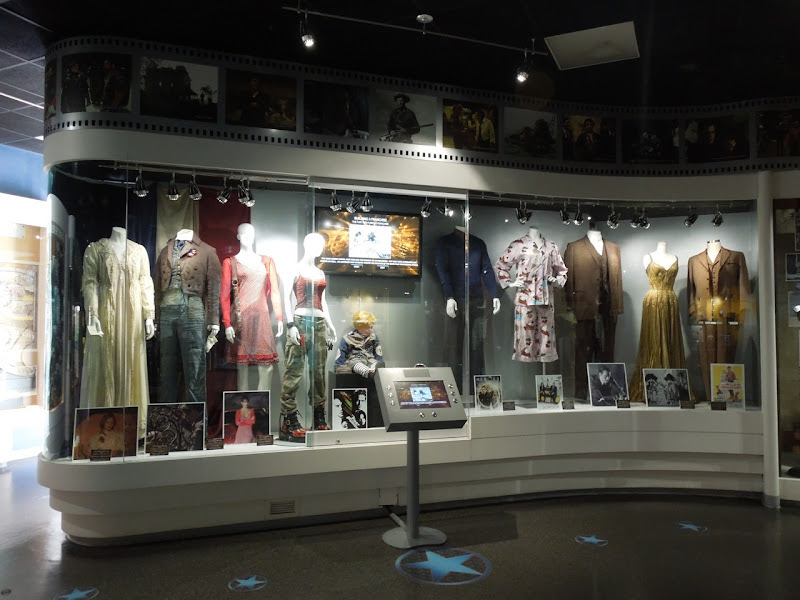 At the start of February I ventured to Universal Studios Hollywood to peruse the latest movie and TV memorabilia on display within the theme park's NBC Universal Experience exhibit from the company's extensive film and television archives. 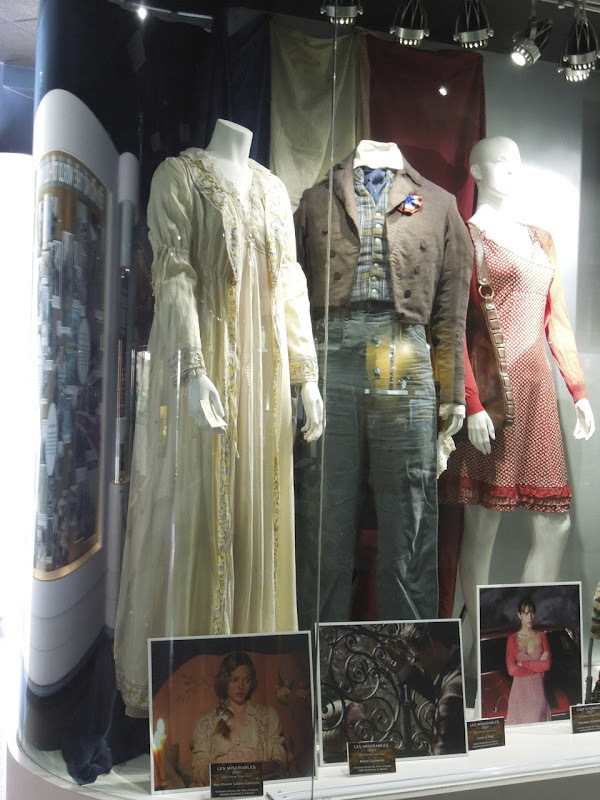 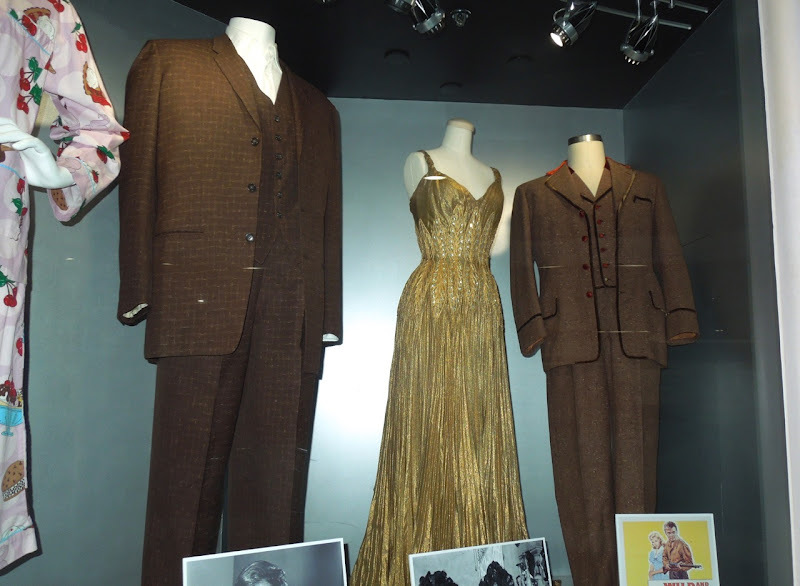 As well as original outfits and stop-motion puppets from more recent movies and TV shows, there was also a selection of costumes from real cinematic golden oldies on display. 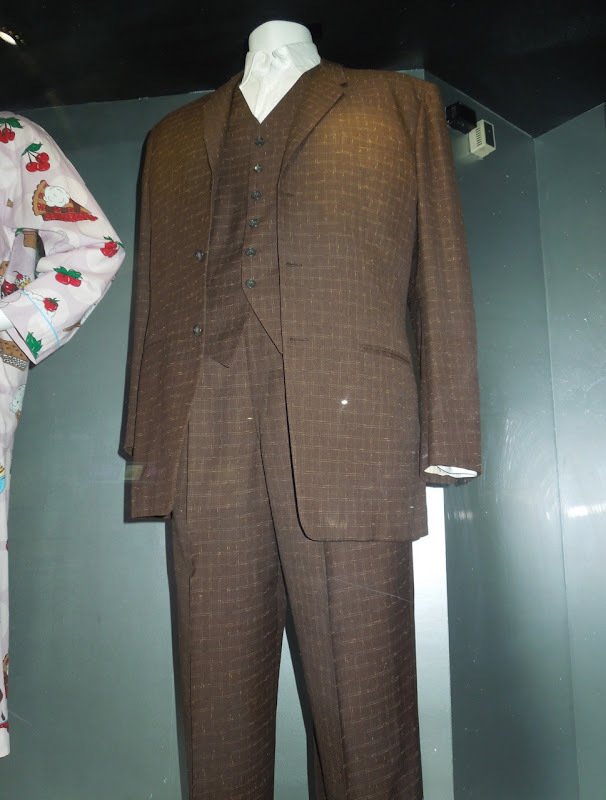 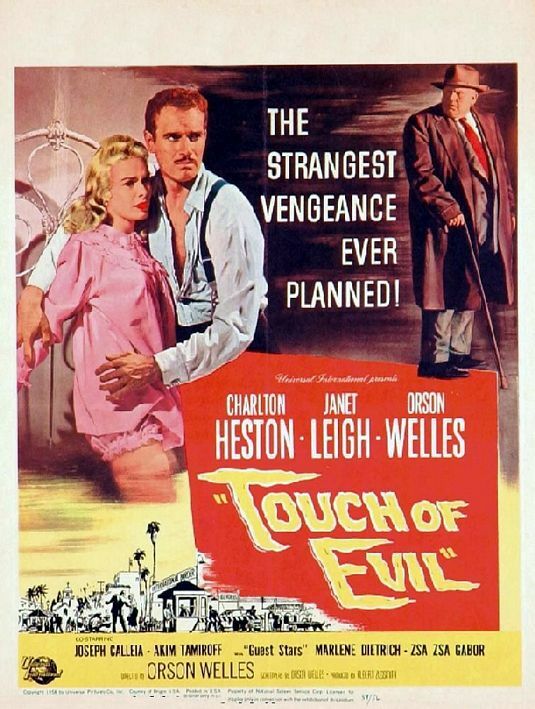 Included in the display was this suit worn by Charlton Heston in the 1958 film-noir Touch of Evil. 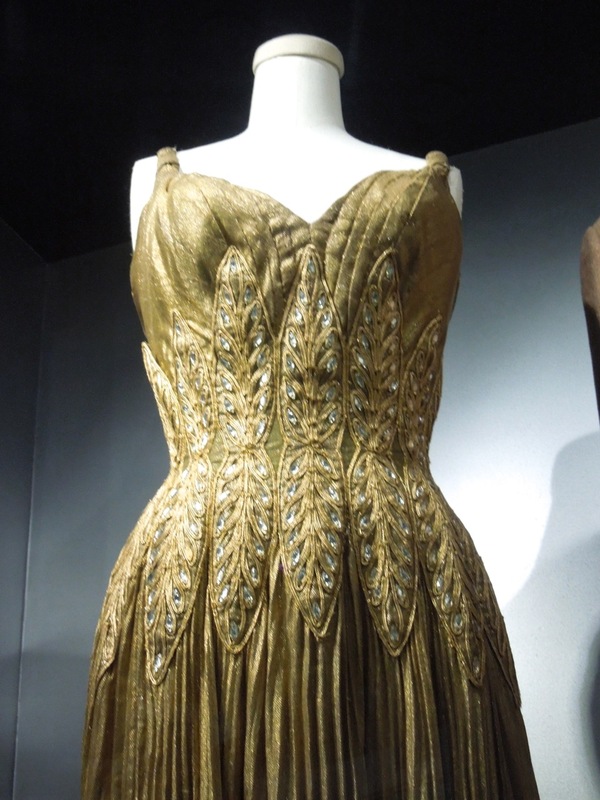 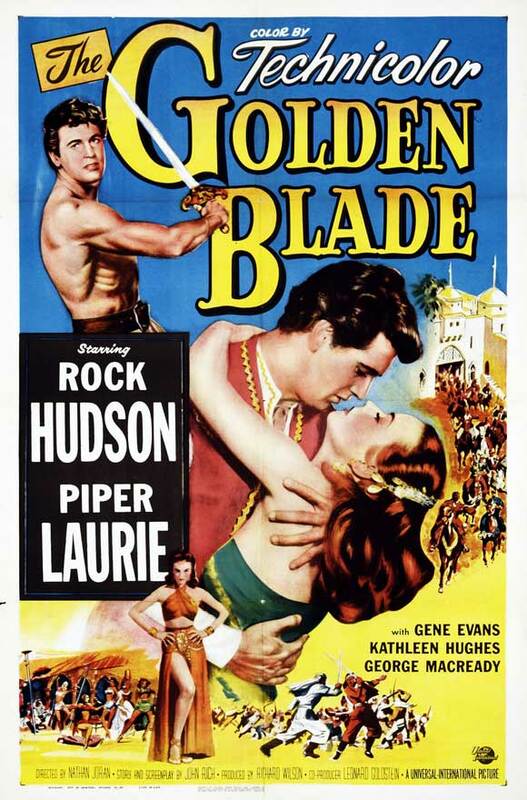 Also part of the exhibit was this beautiful gold formal dress designed by Jay A. Morley, Jr. and worn by Piper Laurie as 'Khairuzan' from the 1953 movie The Golden Blade, in which she starred alongside Rock Hudson. 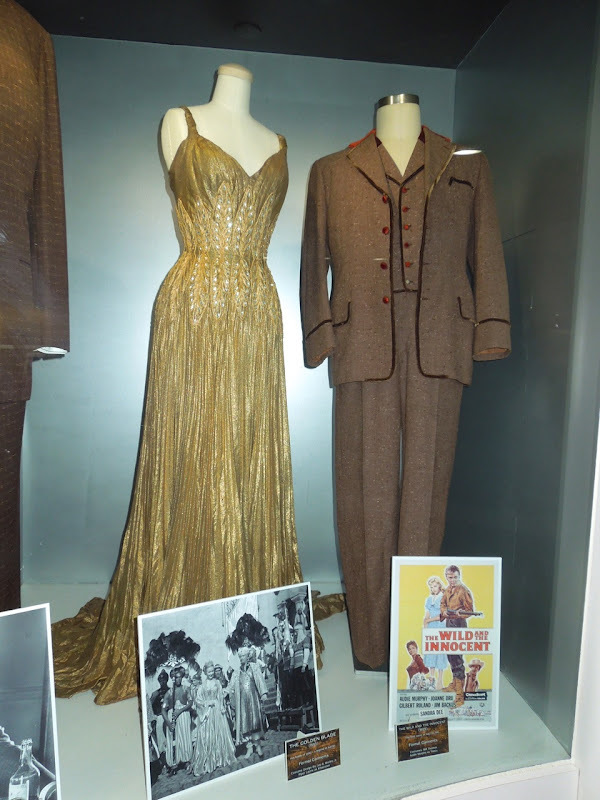 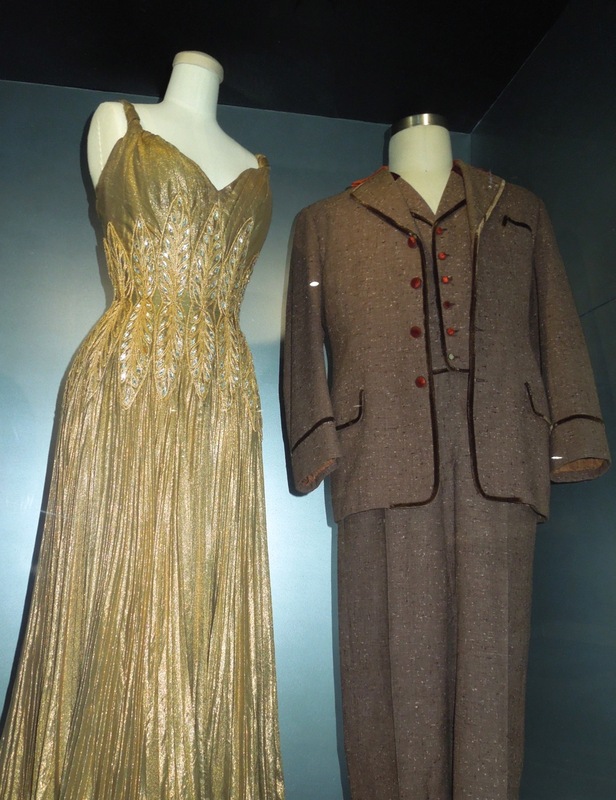 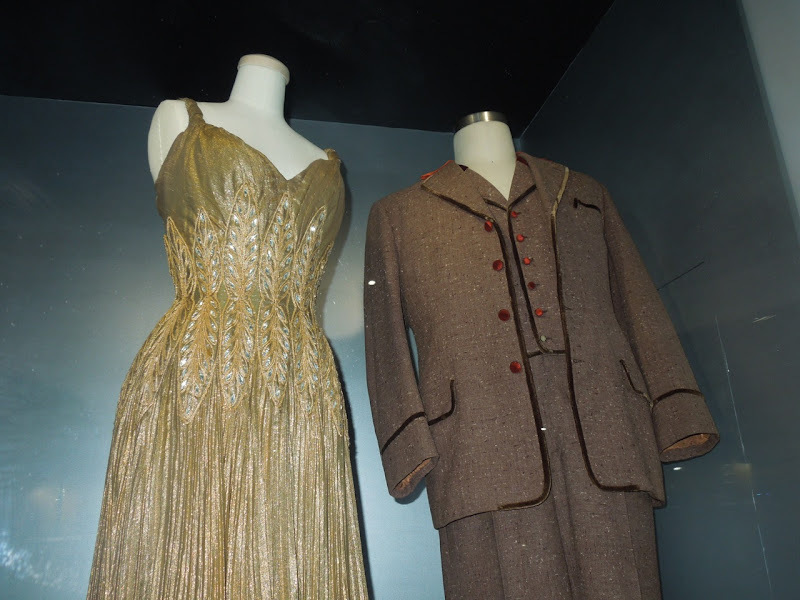 The golden gown is pictured beside Audie Murphy's 'Yancy' outfit from the 1959 Western The Wild and the Innocent, with costumes by Bill Thomas. 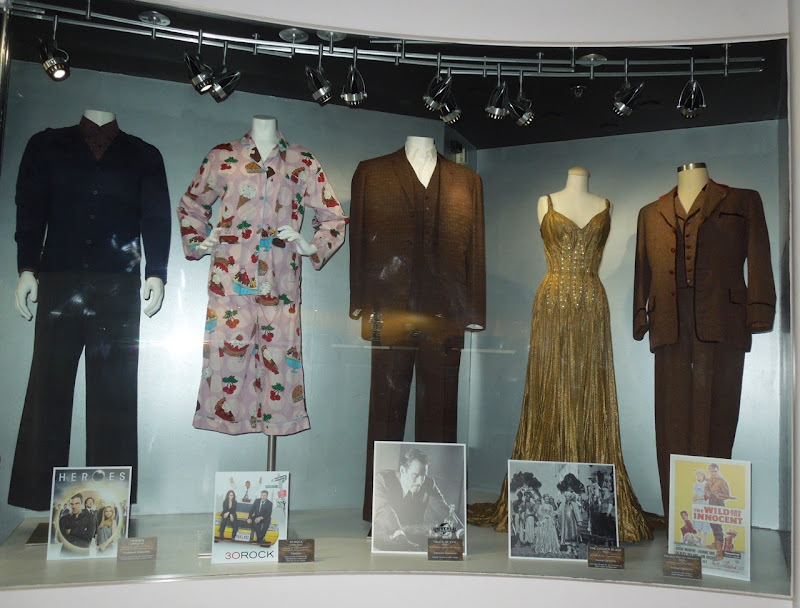 As you can see it was the usual treasure trove from the world of Hollywood's large and small screen.